If you like your home and care for it, you will install gutter guards. The walls and foundation of your home are dependent on gutter guards. While the roof protects you against elements, there is more to the protection of a home. You need gutter guards to keep the foundation solid and the walls compact. Also, most people have damp basements because they cannot prevent water from seeping through the walls. Water is essential in life but can also cause significant havoc to your house. Besides, water from the roof can cause soil erosion and damage your crops. Gutter guards vary in size and material. You can also order gutter guards of different colors or simply customize the design to match your house décor needs. The roof only protects the interior of the home, you should think about the exterior. As fascial boards beautify your home from the outside, you should also protect them from the elements. Most fascial boards are colored to match house design and colors; however, the paint will only exist as long as you protect it from the elements. Gutter guards vary in the material; some are constructed by vinyl, aluminum, steel, and others copper and PVC. Either of the materials is suitable depending on the type of your home and region of stay. The main function of gutter guards is preventing leaves and debris from going into the gutter. Understanding the importance of gutter is crucial; you don’t want to take any chances with regards to exposing them to damages. You should find out the risky areas that can cause damage to your gutters and find the appropriate gutter guards. Leaves might not be your problem, if it is wind, still there are suitable gutter guards for the same purpose. 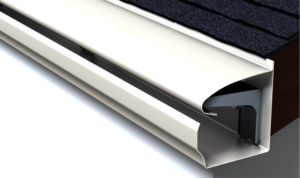 Benefits of installing gutter guards from Smart Gutter Solutions! This had to come first. Gutter guards are designed to prevent entrance of any kind of pollutants that can interfere with water flow. Extreme precipitation increases weight on blocked gutters. Blockages on gutters are the primary causes of seepage and damage to walls. Blockage affects the flow of water, either water will find a way that won’t be appropriate, or it will stay on the gutter for a long time causing sagging. Gutter guards ensure no debris or leaves get into the gutter hence the free flow of water. The fact that debris cannot block waterway, you won’t have any problems with water flow. The intended direction of water from the gutters to storage units or the farm will remain constant. Gutter guards perform the primary function of blocking debris. The main issue with gutters begins on water flow, if this is taken care of by the kind of guards you chose to install, then you will not experience any difficulty in water control or erosion and weak house foundations. Clogging of gutters causes water to stay in the same position for a long time. The mixture of leaves, debris, and moisture on gutters for few days is bound to cause rust. Rust is the beginning of holes or seeping of gutters hence much more damage to the walls and foundation. Gutter guards ensure no debris or leaves get into the gutter hence freeing gutters from rust. Depending on the material your gutter is constructed with, continuous exposure to elements can cause the metal or steel to freeze. Gutter guards prevent entry of debris that can contribute to extremely low temperatures hence causing it to sag or holes at the base of gutters. The main issue with gutters is long exposure to elements and existence of debris and leaves in the gutters that clog the waterway. Freezing is a common factor that damages gutters. Gutter guards protect gutters from rust, freezing, and clogging which can cause immense damage to your house. Damage can be to the walls and foundation. It can cause extreme dampness in the basement that will not only be unpleasant to stay in but also expose you to some infections. Such extreme damages are from mere leakage of gutters. To repair a basement or whole foundation of a house you will need an extra amount of money. It will also cost you time off work schedules to supervise the repair or replacement. Gutter guards help to save on your money and time by preventing the obvious cause of gutter damage, clogging. 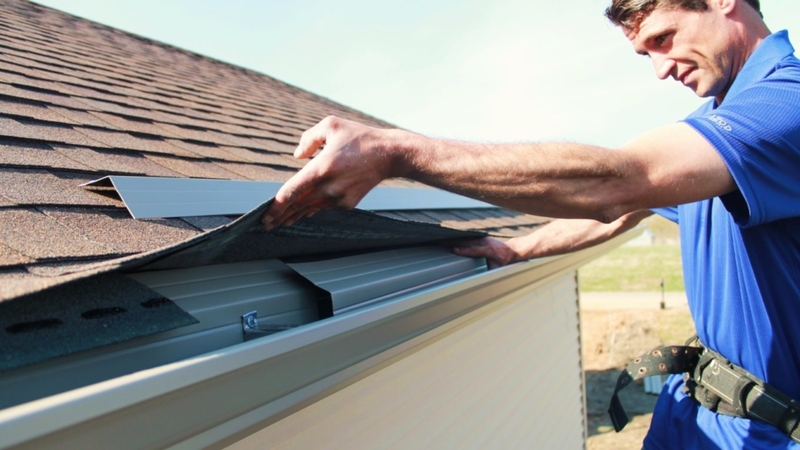 Why you should hire Smart Gutter Solutions to install your gutter guards! The primary reason for installation of gutter guards is protecting gutters and debris. The tools to fix gutter guards are also special; you need a person with specific skills and experience to make sure they work perfectly. The durability of gutters is also dependent on the quality of gutter guards, which you can only be guaranteed by professionals. Gutter guards can be complicated to deal with if you don’t have the special equipment. Tools used to install gutter guards have to recommended by a professional depending on the type of gutter or how your house roof is designed. Sometimes, the fascial board influences the type of gutter guards suitable for your house. There is no way to determine the suitability of gutter guards without a professional. Gutter guards are crucial in keeping gutters effective based on their primary function.